You may have read the title asking yourself, “What is MOAC”, as you prepare yourself for a new tab, opening Google to find out. Well, I’ll just tell you because Google will probably advise you poorly. MOAC is an acronym that was made up, by me, specifically for the new SilencerCo Hybrid, and it stands for; “Mother Of All Cans”. Flash back to January of 2016. 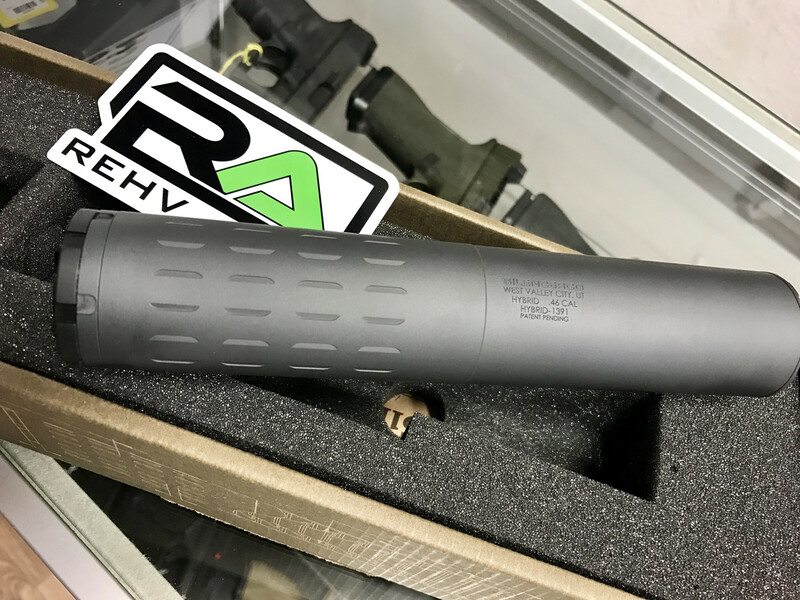 SHOT Show is rapidly approaching and SilencerCo is planning on debuting this “super suppressor” capable of shooting almost everything in your safe, and your friends safe, without even flinching. The WaGuns media team is frothing at the mouth about this and can’t wait for the NSSF Industry Day at the Range, just prior to SHOT. That day we got to shoot what the Hybrid was touted as being able to do, tame the .45-70, and it did. Upon further reading and visiting the SilencerCo booth at SHOT, I decided to take the plunge and buy one. I got a hold of one of our local FFL’s, Rehv Arms, and started the process. It took EXACTLY 7 months, 7 LONG months for me to finally take delivery of my new Hybrid.